It dawned on me today that Twitter lets you upload video directly to the service. 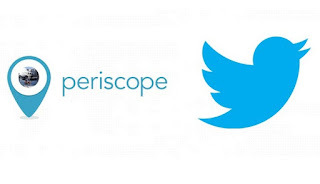 It also, through Periscope, lets you live stream video that is shareable as an event in Twitter. And with Vine, Twitter lets you share short, looping videos. At the same time, every day it seems we're reading reports of Twitter losing users because people either don't know how to use it, or get bored, or don't like the negativity and trolling. Maybe it's time to consolidate all these products directly into Twitter? Do I really need three apps on my phone that involve reasonably similar ways to share events in the video format? How about live streaming and looping videos be options in the main Twitter app, along with the ability to upload pre-shot video? Seems to me that would draw people back to using Twitter, proper, no?